Here is another fabulous product we have created. This is a custom version of our Simply Elegant Square Pouch invitation that recently came off our production line. “Elegant” being the operative word! Beautifully designed, crafted and professionally put together by our production team. 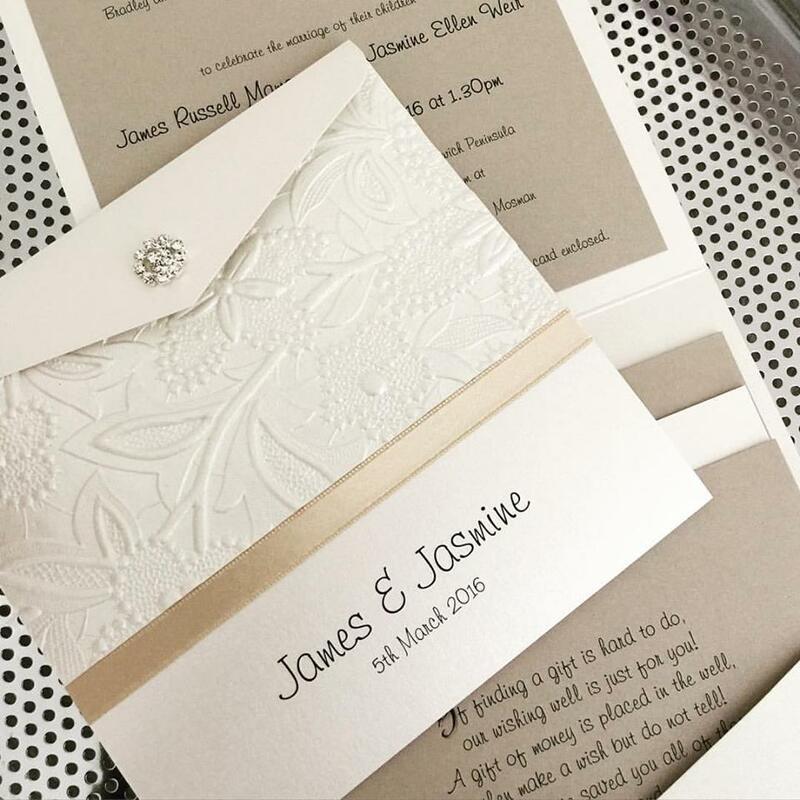 This invitation consists of a champagne and ivory two toned theme and was well received by the Bride & Groom. We hope James and Jasmine had a memorable day and we are proud to have been associated with their special day! Have a happy life together, from all of us here at Something Fabulous. This entry was posted in Invitations & Stationery and tagged #weddinginvitations, DIY Invitations.